This article describes how the Canon RC-1 infrared remote control communicates with the camera. To figure out the protocol I used an IR photo-diode first. Because of the bad signal quality I decided then to disassemble the RC-1 and measure the IR-LED voltage directly. I used the occasion and took some pics of the circuit. To all appearances the circuit is build around a quartz-controlled microcontroller with an additional transistor to switch the IR-LED. The supply capacitor is large enough to maintain the function of the remote control for a few shots with removed batteries. To the hobbyist's delight there is no communication protocol like the RC-5 code which most TV remote controls use. 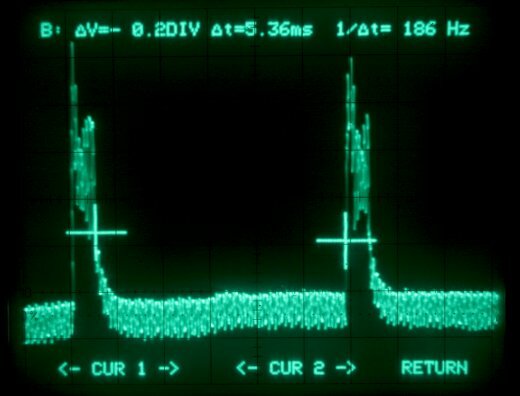 The signal send by the remote control consists of two identical bursts of pulses as shown on the pics below. 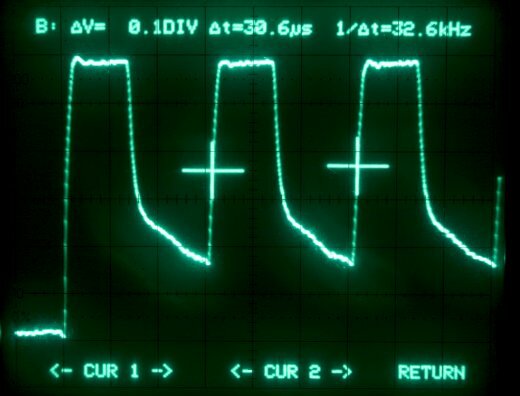 To distinguish between the two possible modes of operation of the Canon RC-1, the delay between the bursts is changed. 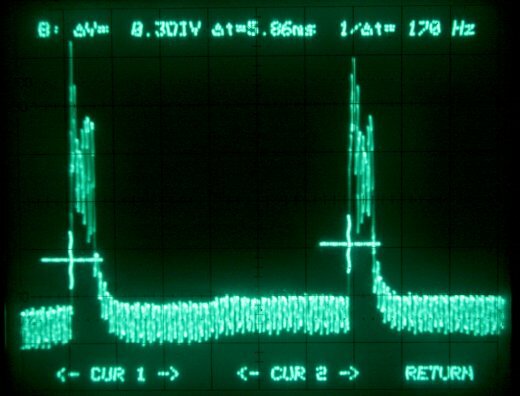 The signal shown in the oscilloscope screenshots below was captured directly at the IR-LED of the circuit. 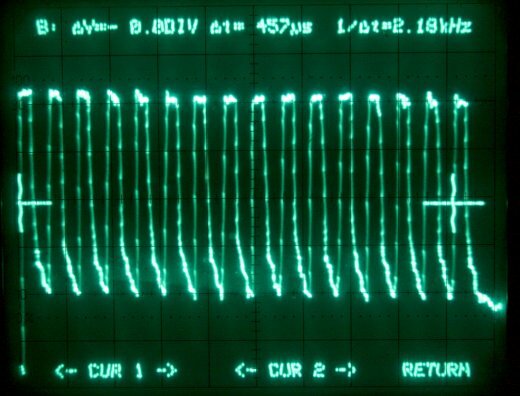 The overlaid noise in some plots is due to an internal oscilloscope problem. 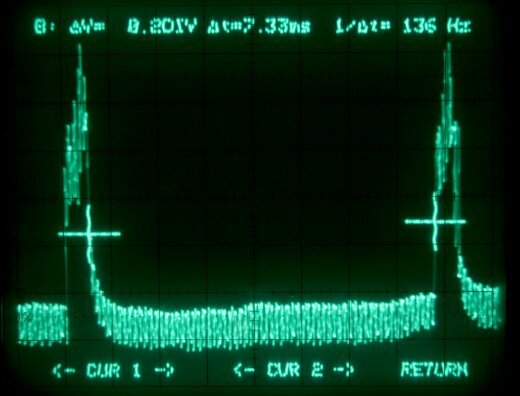 The signal timing of the original Canon RC-1 is listed in the table below. Having build my own remote control I could also find out the tolerance for each parameter. I used the Canon EOS 400D for testing. The clock frequency is very close to the standard watch crystal frequency of 32768 Hz. The experiments were made from a very short distance. I didn't test the sensitivity reduction for the deviating parameters and didn't test them in combination. I've managed to make it work with my Canon 60D by having the HPERIOD value set to 11 rather than 15. Delayd shot is same code but with 2000 substracted from two last time values. The reason the Arduino attempts here have not been working is because the digitalWrite function requires several microseconds (over 4 us on my UNO R2) to do its thing. When combined with delayMicroseconds(), which doesn\'t account for this, your timing gets thrown off in a bad way. There are many solutions to this problem, but the best of them will require that you avoid using delayMicroseconds entirely. 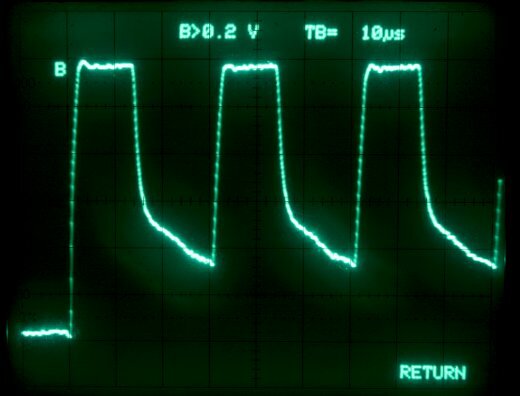 I believe I have found one of the easiest solutions: the tone() function combined with using micros() for timing. If this does not work for you, start to question your LED. It must be bright and of the correct wavelength to trigger the camera from more than just a few inches away. For example, I did not have very good luck with a dim 940nm LED until I held the LED right up to the camera\'s IR sensor. Use my code, and if it still doesn\'t work, try different IR LEDs. Unfortunately not working yet. Any advice? It seems part of the code is removed by the website send form. I tried to build a simple Arduino program following your instructions but I could manage to make it work. Any suggestions? Still the camera (Canon 400D) does not react. I m trying to open this debugging IR remote page in my browser but it is showing some error why is so can somebody help me out. Am I being a muppet? Using an Arduino board (complete board for a larger Atmel processor) I have programmed the information you supplied (15.3uS on then 15.3uS off 16 pulses with 7.86ms spacing for instant picture capture). Nothing happens. I've used your tolerances to play with the information also using almost the entire range and nothing is happening. 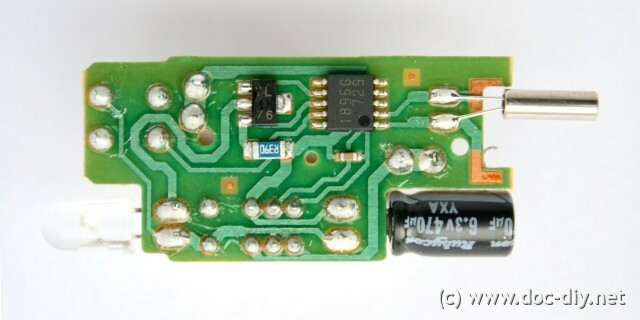 Camera is 350D IR diode is of a TV remote and has been checked with IR receiver using the same board to record pulse information. 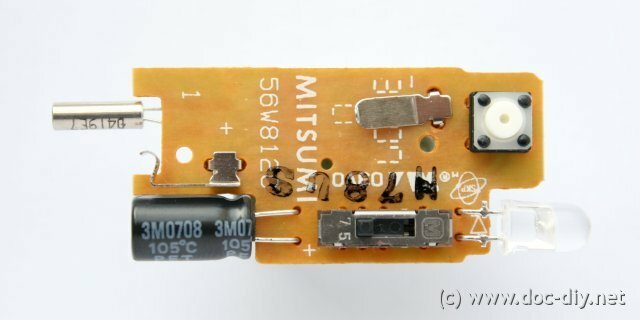 I am trying to use this info to build my own IR remote for Canon T1i. The camera manual says it is compatible with RC-1. 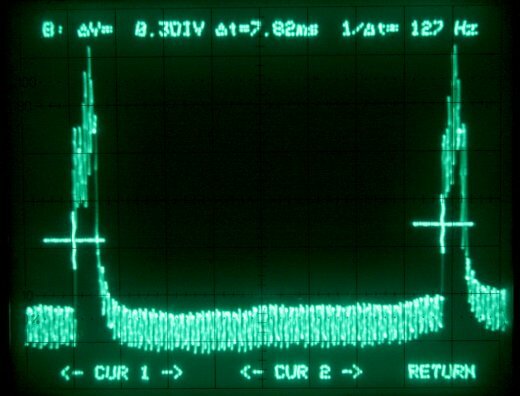 I followed your timings, (32-38kHz bursts, seperated by 7ms) but my camrea does not seems to be responding. Did you face any such issues when you tried? Any giudence would be greatly appriciated.